Read our testimonials to see what our recent guests had to say about their experience with Ombeni African Safaris. "The trip was amazing! Amani was very knowledgeable and helpful on safari. He was also a great swahili teacher! He went above and beyond for us and made Tanzania feel like home. 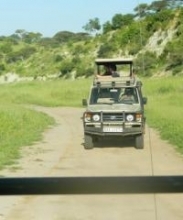 I definatelly recommend Ombeni African Safaris." "Our safari to Tanzania through the auspices of Ombeni African Safaris was one of the most memorable vacations we ever had. The guides we had were professional, knowledgeable, helpful, friendly and personable. We were more than satisfied with the services they provided. We were amazed at what we saw while on safari. We visited five national parks, and the wildlife viewing was beyond our wildest imagination. We saw vast varieties of wildlife up close and personal. The accommodations at the lodges we stayed at were very good, and we enjoyed the food. 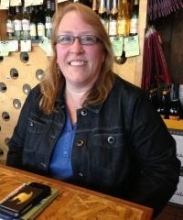 We are extremely satisfied with our experience." 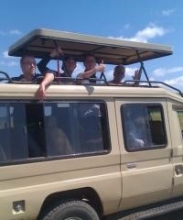 "I recently went on a trip with Ombeni African Safari and it was amazing! Amani was our guide. He was very knowledgeable, helpful, and always made sure we were safe on our trip. Omari was our cook. I really miss the amazing food he made us, especially the soups and rice pilaf. 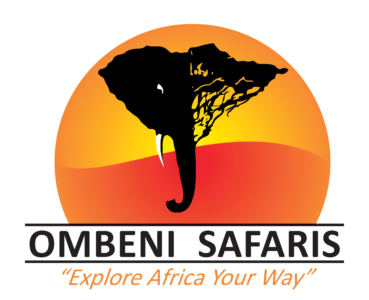 The trip was well planned and organized and I would recommend Ombeni African Safaris to anyone looking for a great safari experience." "From the early stages of planning and booking the trek, to the very first steps I took, to the summit and back down again, I knew I was in good hands and enjoyed my experience entirely. The personal communication with Ombeni himself leading up to the trip was incredibly helpful, and the entire staff in Tanzania were phenomenal. They picked me up as scheduled from Arusha and the adventure began. I cannot praise my guide, Frankie, enough for his expert guidance and patience. He was incredibly knowledgeable about everything and always eager to answer my numerous questions. I am also very much appreciative of his concern for safety, and am happy to report that thanks in part to his guidance I was able to achieve my goal in a safe and healthy manner. I definitely recommend taking an extra day to acclimatize. Besides, why rush such an incredible experience? I was also pleasantly surprised with the food; I ate like a queen on the mountain and the meals exceeded my expectations. The personal touch of the entire experience made all the difference to me, and I highly recommend Ombeni African Safaris to anyone looking for an amazing adventure in one of the most beautiful places on earth." "Dear Friends, I wish to applaud all the people from Ombeni Africian Safaris!! Although I have never been on a safari before, I just can’t imagine a better trip. From the planning stages to the finish I always felt I was in the best hands. When we arrived in Tanzaniza we were greeted with our two drivers and for the whole 12 days we were never left without contacts if we needed anything. Our driver was the best!! Aimie (not sure of spelling) was the most thoughtful and considerate and wonderful man you could ever meet. He was very knowledgeable throughout the whole trip. We travelled for hours on many days and he always knew the best routes and also where to find the most animals. He was awesome at identifying wildlife, birds, landmarks and anything we needed to know. He was our greatest resource!! Not only did we see the Big 5, but we enjoyed a hot air balloon ride, a side trip to Zanzibar, and we stayed at a different resort almost every night with each one better than the last. And to make this trip even more special, the Ombeni Foundation sponsors a school. We made a special visit to the school and the children loved seeing us as much as we loved our visit to this remote location with hundreds of happy children. I would highly recommend Ombeni African Safaris to anyone that hopes to have the time of their life and not worry about anything while thousands of miles away from home!! Sincerely, Chris, one happy traveler..."
“This past summer I set out on a four-week adventure to Tanzania. The main purpose of this expedition was to volunteer in medical clinics in a surrounding village of Moshi. In addition, I was fortunate to make the most of my journey by going on two safaris and climbing up Mt. Kilimanjaro. Although the entire experience was one I will never forget, the most memorable aspect of Tanzania was the people I encountered. 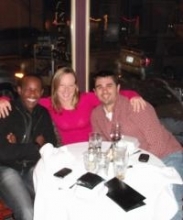 Not really knowing what to expect, everyone I met was extraordinarily inviting. Despite being a “foreigner,” I was welcomed with open arms. 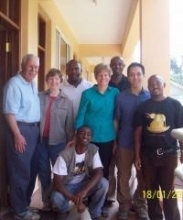 However, my favorite memory is of how happy the Tanzanian people were. In the three weeks I provided them health care, I never once heard someone complain, a mother yell or a child cry. The children were filled with energy and were laughing at most times of the day. It was refreshing to see such a peaceful and grateful community. After three weeks of one adventure, I moved on to the next adventure: going on a two-day safari. Safari means, “Journey” in Swahili, and I could not think of a better translation. 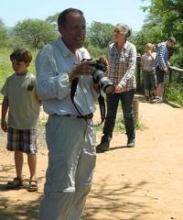 I spent half of my time in Lake Manyara, and the other half in Ngorogoro Crater. Not a second went by where I did not see a breathtaking view or a wild animal I had previously only seen in movies or behind bars at a zoo. The time flew by; I could have easily spent two weeks riding in a jeep searching for lions hunting their prey or hippos wading in water holes. Prior to beginning the safari I wanted to accomplish one goal: to see Africa’s Big Five: lions, black rhinos, cape buffalo, leopards and elephants. I am pleased to report I succeeded in seeing all of these wild animals plus many, many more. As if I had not had enough adventure, I ended my three-week journey with five days of hiking up the world’s highest freestanding mountain. I do not know how to begin describing this experience, but I have decided it needs to be on everyone’s bucket list. I was a novice hiker when I decided to climb Mt. Kilimanjaro, and although I consider myself physically fit, this adventure proved to be more difficult than my group and I had anticipated. Due to the altitude, there were times that I was more focused on getting off the mountain than actually summiting it. However, I was determined to make it to Uruhu Peak; and I did, as did all five members of my group. To this day, I think trekking up 19,340 feet was one of my proudest accomplishments. I am so happy I continued through with this journey despite my inexperience. The views during the ascent and once upon Uruhu Peak were unbelievable. 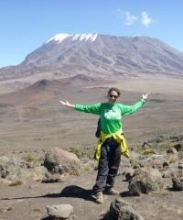 I have only skimmed the surface of this climb, and although I could go on and on about Kili, it really is something you have to experience for yourself. “I truly mean it Ombeni. We all discussed how very special the trip was, down to every detail and how very much a part of that had to do with the driver. Because he was such a positive addition, we realized it could really make or break it. It was an unforgettable trip, a trip of a life time, God saw to that, and placed this man as an integral part of it. It wouldn’t’ have been the same without him. Everything about it. His personality, his preparedness, and the great care he took with our safety really stood out. He was very sensitive and conscientious to our desires: how long we wanted to stay still at an area, taking photographs, not rushing us but being mindful of how the trip had to move along to be out of the park at sunset. Which wasn’t easy because some of us girls got us off to a late start. I know that affected him, but he was pleasant and professional. He contributed to the trip in so many ways with personal knowledge and preparedness that enhanced our trip such as bringing along bird identification books and opening them up to show us what we were looking at, and by bringing out binoculars for us to see them closer. He was awesome. You guys have a real treasure there. I will recommend you, and him to everyone. Tell him I said Hello. I still remember what he taught me about the elephant stomp holes. These shots are for you all from the safari. I have to laugh, we all thought God was so rolling out the red carpet for us, that the zebra’s were actually lining up and posing……then, one of us looked back over our shoulder and saw what came after that shot. Hope you enjoy the laugh as well. I learned a lot from the Zebra’s that tells me just how the church should be. Sometime perhaps over lunch or a bus ride, I can share that Tanzanian epiphany. The elephant and the humming bird were a happy catch by Mary. It was awesome she didn’t’ know she even had it. I was editing the photo’s and found that sweet treasure when I cropped the shot. She had a super huge long zoom and caught the elephant from afar. There is another such shot of a hippo I shall send another time The driver would get a kick out of it. It was in the lake with the flamingos. He had just started the engine again, and I made him stop and shut it off so I could grab this last shot, that I couldnt’ even see, only the shape: a rolling rotating color of pink and grey and when I got home it was the silliest cute shot. I shall send in the future. Something to anticipate from the safari. A trip I have always wanted to do but never thought possible until I met Ben (Ombeni). He helped structure an amazing trip within budget constraints. From start to finish it was unbelievable. One (small) criticism was that there was not enough information given regarding tipping-to whom and how much? But, that really was minor. Accommodations were incredible; food delicious and beautifully prepared and presented. First-class all the way. Loved the tent camps which brings me to one other criticism: not enough time at each place! But, again, minor. And we certainly could have planned it differently. A great deal of territory was covered and we had only so much time! Would I go with Ombeni again? In a heart-beat! You won't be disappointed. 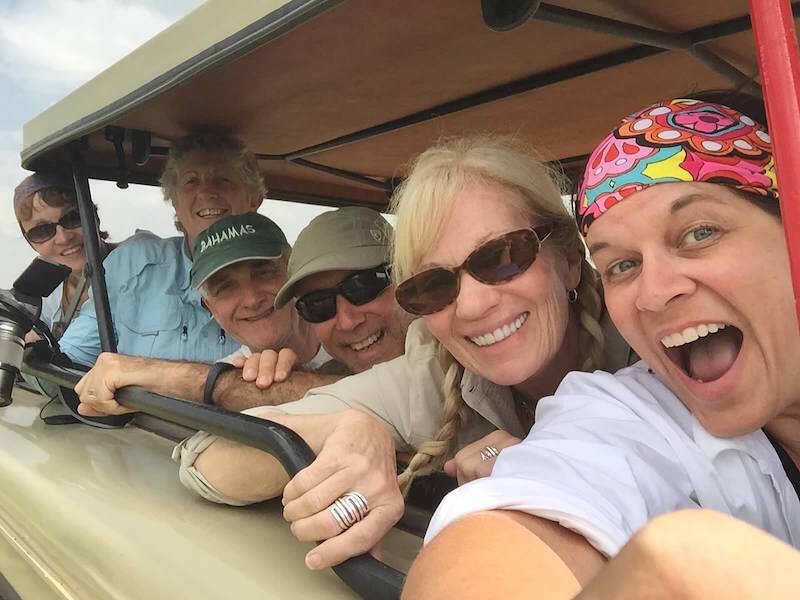 Dear OmbeniAfricanSafaris, My trip to Tanzania this past June with Ombeni African Safaris was wonderful! The itinerary allowed me to see many places over a course of a week. I was amazed at how many animals and birds I was able to see! Some of them I would not have been able to pick out without the keen eye of my driver, Shabaan! My driver was also very knowledgeable and made the trip interesting. I can’t wait to return as I am hooked on Africa! Best vacation we've ever taken. Ombeni was supurb. Can't say enough good things. Husband and I took our 3 adult sons. Traveled KLM form Chicago to Amsterdam to Arusha. Ombeni waiting at the airport for us with cold beer. We went in early June. Not crowded at all at that time. Suprisingly cool. The only thing I wish we'd done differently is to add the extension to go to Zanzibar. We just didn't have the time between graduations and new jobs. 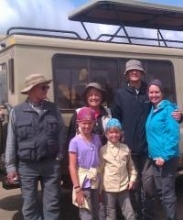 "My Husband and I had an amazing 20 day trip to Tanzania with Ombeni Safaris. Every detail of our trip was expertly planned by Ben and his staff and was surprisingly very affordable. Once we arrived in Tanzania we didn’t have to think about anything except enjoying this once in a lifetime opportunity. All of the hotels, lodges, and tented camps we stayed in, as well as the transportation exceeded our expectations. I highly recommend that anyone planning a trip to Tanzania do so through Ombeni Safaris. We started our trip going on a 4 day safari instead of Climbing Mount Kilimanjaro first which I would highly recommend because it takes a few days to get adjusted to the time difference. We visited Lake Manyara, Ngorongoro Crater and Tarangire Nature parks. We opted out of going to the Serengeti because of time constraints but feel that we saw almost everything that we would have seen there except for the Leopard. Our driver and guide, Amani, was very knowledgeable about the plants and wildlife in the parks and made us feel at home. After going on Safari we were well rested and ready to tackle Mount Kilimanjaro. We opted for the 6 day Machame route climb which was the right amount of time for us but can also be done in 7 days. The first 4 days of the climb were relatively easy but the summit day was extremely challenging. We departed our last camp at midnight on the 5th day and reached the summit by 6:30 in the morning, just in time for sunrise. My husband had no problems on the way up except for some very cold toes but I got extremely altitude sick. I made it to the top but couldn’t have done it without the support of our Guide, Isack, and Assistant Guide, Everest, who encouraged me the whole way but at the same time made sure it was still safe for me to continue. After descending to camp and taking a few hours to rest we continued down the mountain to our last camp and hiked the rest of the way down the following day. We had a great crew of guides and porters and especially appreciated our cook who my husband called the “master of the propane tank”. The last part of our trip was a 5 day stay on the island of Zanzibar. We stayed in the main city of Stone town for one night and spent the rest of our stay on a quiet beach called Matemwe beach. We spent 3 days snorkeling and diving at the Mnemba Atoll, and enjoyed eating fresh seafood and relaxing in the shade. This was definitely a wonderful conclusion to our trip to Tanzania. Anyone planning a trip to Tanzania should know that Ombeni Safaris is a solid and trustworthy company to book their trip through. We can’t say enough positive things about Ben and his staff and hope that you will enjoy your trip with them as much as we did." Amani was our driver and guide during our safari to the National Parks. He also drove us to Tanga and to a place near Moshi for a hike. I’ve been to Tanzania several times, and I have never felt safer on the roads than when Amani was driving! He drives cautiously and defensively, which are rare traits amongst others on the roads in East Africa. On safari, he took time to learn what animals we really wanted to see and made sure we got to see them. He had lots of interesting facts about everything we saw. In addition to him being responsible and knowledgeable, he’s a really fun person to hang out with. He’s got a great sense of humor and wonderful stories to share! Our trip to Tanzania would have been incomplete without such a wonderful guide and companion. Ombeni did a wonderful job arranging everything for the safari. Everything was planned out just as we wanted, and he worked hard to make sure that all our requests were accommodated. We had a tight budget and were able to stay comfortably within it. Go to Tanzania! It is an amazing country – the people are wonderful, the scenery is gorgeous, and the animals are so much more interesting in their natural habitats! If you are settled on Tanzania, I can assure you that Ombeni, Amani, and the rest of the crew will take great care of you. Your enjoyment is our top priority and we’re continuously dedicated to the details. From the time you arrive into our care you’ll be impressed with the little things.